What should you do if you’re stopped by the police? Three youth in King County share an important message. Maureen McKee, a public defender for the past 16 years, is the newest King County Superior Court judge. Many expect she’ll bring a commitment to equal justice and a passion for the rights of those less fortunate to the bench. 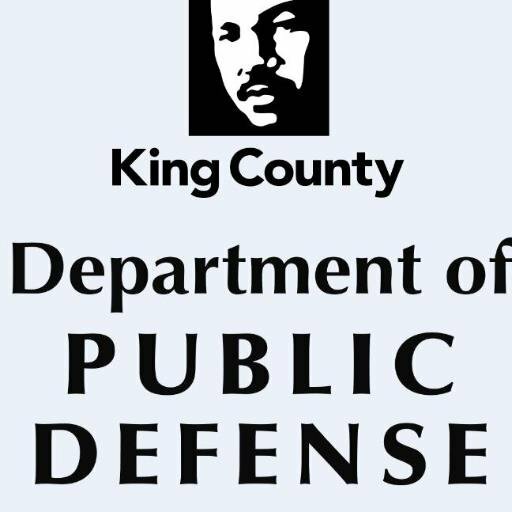 Thanks to a pilot project funded by the City of Seattle, the Department of Public Defense is now able to address the civil consequences of a criminal conviction or arrest. County Councilman Dave Upthegrove has drafted a motion that would forbid law enforcement from questioning a young person detained in the juvenile detention center without an attorney present. DPD thinks it’s high time. February 21, 2017 in Other. Sadé Smith and Matthew Sanders enter a program that’s not only a feather in their cap but also a way to do even more on behalf of clients and in support of their colleagues. December 6, 2016 in Other. The team defending Aaron Ybarra gave him the opportunity to tell his story, helping to illuminate the way mental illness can play out in a person’s life. November 23, 2016 in Other. The win last year was a game-changer. Thanks to a class-action lawsuit brought by several public interest attorneys, a federal judge ruled that immigrants with mental disabilities facing deportation proceedings are entitled to a lawyer, a first-ever affirmation of the right to appointed counsel for immigrant detainees. September 21, 2016 in DPD News. A powerful new video underscores what many persons with felony convictions in Washington state are never told: Once out of custody and no longer under the supervision of the state Department of Corrections, he or she can register to vote. September 15, 2016 in DPD News. After a friend was accosted for wearing the hijab, Dua Abudiab, a public defender at DPD’s TDA division, decided it was time to speak up. August 9, 2016 in DPD News. Eight public defenders, with the support of several others at DPD, worked tenaciously to save the lives of three people facing the death penalty in 2015. WSBA is honoring them for their work. For one frantic hour, DPD employees and community and county partners got a taste of poverty. We learned a lot. August 8, 2016 in Other. INDIVIDUALS accused of misdemeanors in King County sit in jail for days, weeks, even months, for want of $1,000 bail. Already living close to the edge, they see what few support systems they have unravel while they’re incarcerated — accused but not convicted of a crime.